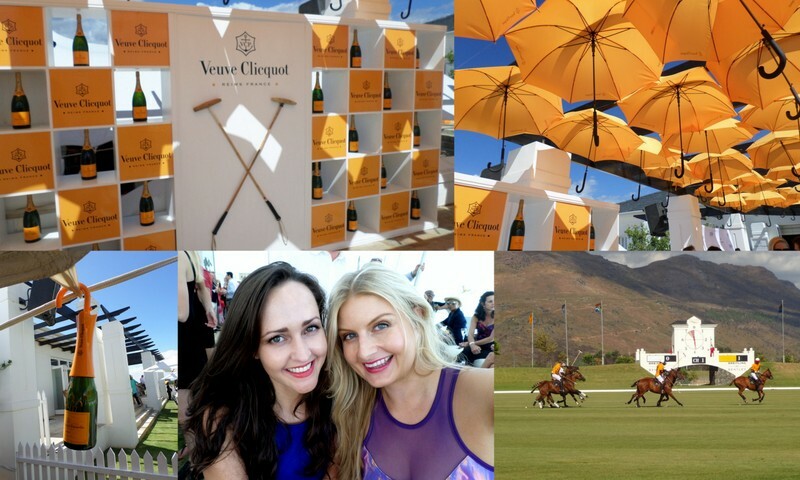 The much anticipated Veuve Clicquot Masters Polo event held at Val de Vie estate in Paarl has come and gone and yes, it did live up to all hype. 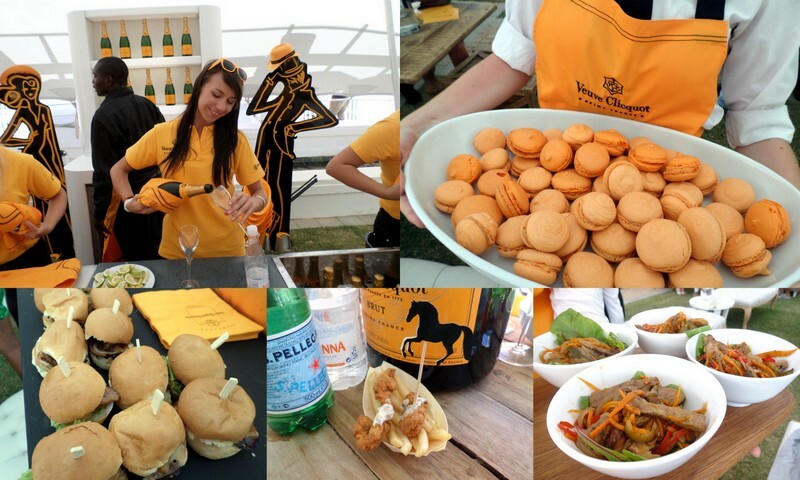 I mean, who couldn’t enjoy a beautiful sunshiney day in the winelands filled with good friends, great food, fab fashion and, of course, a free-flowing fountain of Veuve Clicquot bubbly. Myself and polo blogger buddy Karisa Nicholls. While my beloved cheese table was sadly amiss, there was an abundance of other yummy canapes doing the rounds including delish-tasting mini steak rolls and orange macaroons. See how the calamari (bottom middle) has a little horsie on a stick in it? Love that! If, like me, you were lucky enough to be in the beautifully decorated VIP area, all this could be washed down with a glass (or seven) of Veuve Clicquot Brut or Rose. Elizabeth Arden’s Alice Carderelli and Victoria Jackson on the left and myself on the right. ‘Cheers’ girls! So who else was out and about? Fashion blogger Ritza van Rensburg and stylist Elrico Bellingan as well as former Miss SA Cindy Nell and hubby Clive Roberts where just two stylish couples on the scene. Cindy was wearing the most gorgeous arm candy while Ritza rocked a killer pair of gold studded heels. 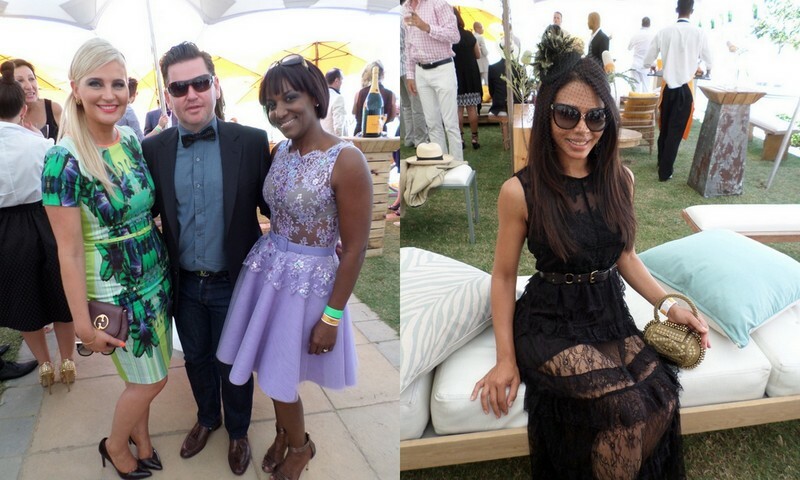 Anina Malherbe looked striking in a print screen Elie Terhari dress from D’Ore alongside designer Jacques Lagrange and fashion blogger Clouds Drummond who was wearing one of his lacy lilac creations. Actress Natalie Becker also opted for for a lace number. Anina, Jacques and Clouds on the left and Ms Becker on the right. 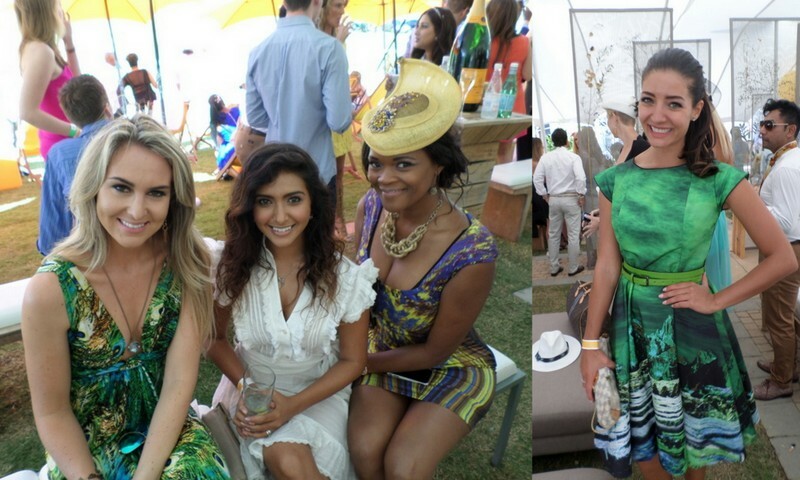 Socialite Sue Duminy, actress Carishma Basday and model Thandi Kupe made a very pretty trio while Jeannie D looked fabulous in a cap sleeve printed Vanessa G London skater dress from D’Ore. Clearly prints are having a serious moment right now. D’Ore is an exclusive Jozi-based fashion boutique with an online store that ships worldwide. 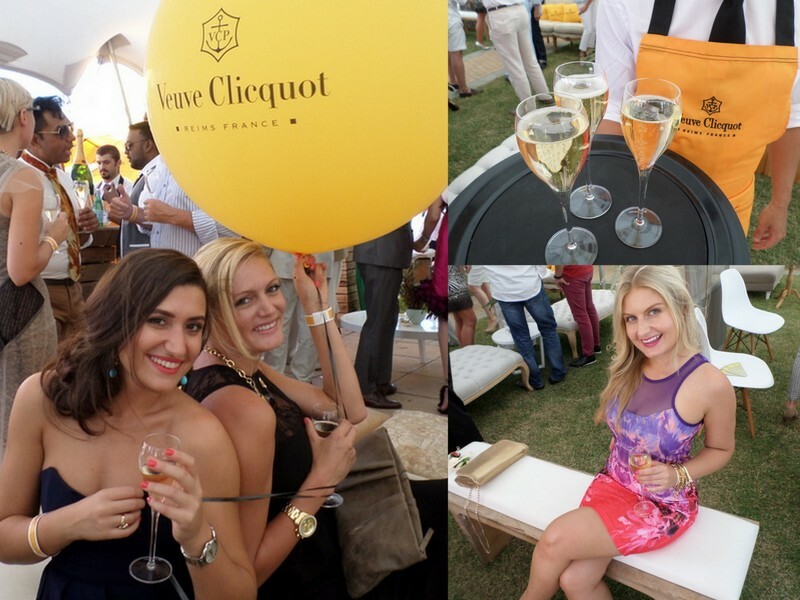 They partnered with Veuve Clicquot for this event and at one point a D’Ore fashion show went down. I’m in the process of getting a few piccies of this and will update the post ASAP. Personally, my most memorable moment of the day had to be borrowing lip gloss from Victoria ‘Vo’ Jackson, but only ‘cos it’s seared into my brain via debilitating white hot pain. She’s a fan of Too Faced Lip Injection, a special plumping gloss from the States, and lord know’s what’s in there but Oh! My! God! does it burn like the blaze of a thousand fiery suns. While Vo is totally immune to it and ‘barely feels a thing’, myself, Karisa and Alice wanted to rip our lips off. There’s only so much pain I’ll willing to endure for beauty. In all, this year’s VCMP flew by in the blink of an eye which is what happens when you’re having lots of fun. 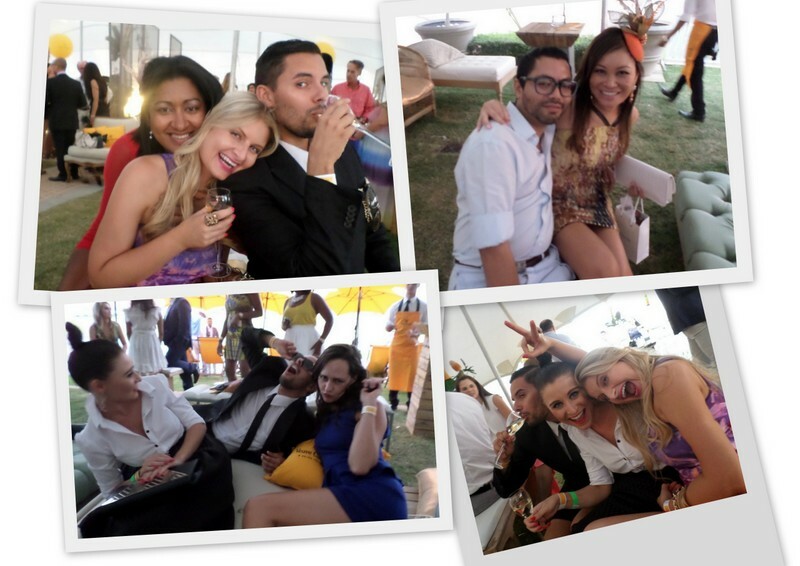 My last few moments at the event where spent watching people semi-pack up around my friends and I while we snapped blurry, embarrassing selfies with socialite Jen Su, designer Craig Jacobs and Fairlady magazine’s Roxanne Cloete. I took great delight in scream-telling Craig that my dress was from Mr Price and he gave it the fashion god nod which makes up for the fact he solemnly agreed when I told him I had fat ankles. Hate you Craig! Love you Craig! Anyway, a big thank you to Lameez from Vivid Luxury and Lucy from Bletchley Park for inviting me. This was an indulgent, elegant-looking affair; one you’ll never want to miss. My friends and I also really appreciated being offered the courtesy of a driver who safely chauffeured us back to Cape Town. Also, another big dankie dankie to Fadia Williams from Tiger & Lily consulting who did my hair and make-up. I felt super pretty and will be putting up a post on that experience alone later on this week.